Indiabulls Ventures is a full-service stockbroking house from Indiabulls Group. 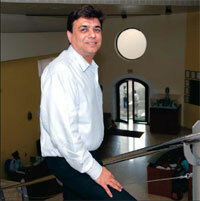 Based out of Gurgaon, the stockbroker has a presence in 18 cities of the country with a client base of 7 Lakhs. The full-service broker is part of a large conglomerate with broking services being one small part of the huge pool of businesses the group runs. Let’s dig a bit deeper and understand the different value propositions it has in place for you as its trading client. This full-service stockbroker was established in the year 2000 and quickly joined the top league of full-service stock brokers. However, by time, it has not been able to keep its momentum going and is now left out as an average performing stockbroker. It is known for its research quality but customer service and few other areas need quick attention, as we look at multiple aspects in this detailed review. Customizations and personalization of widgets, look and feel allowed to users as per preferences. 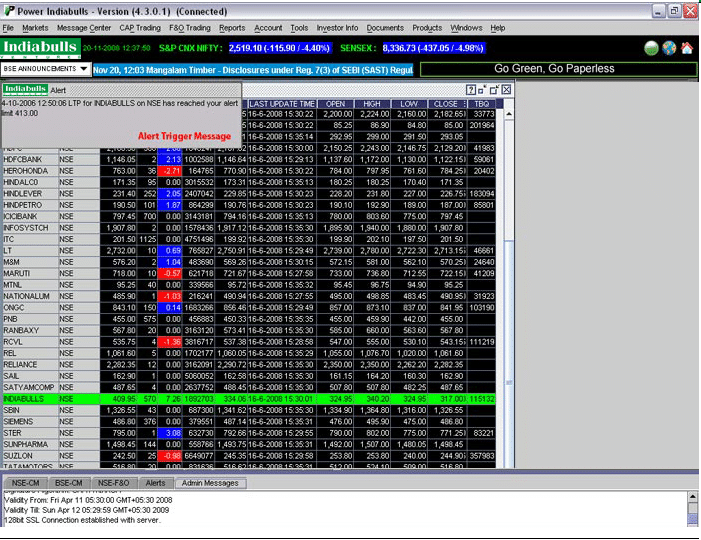 This full-service stockbroker also allows you to perform trading through the web using a browser. 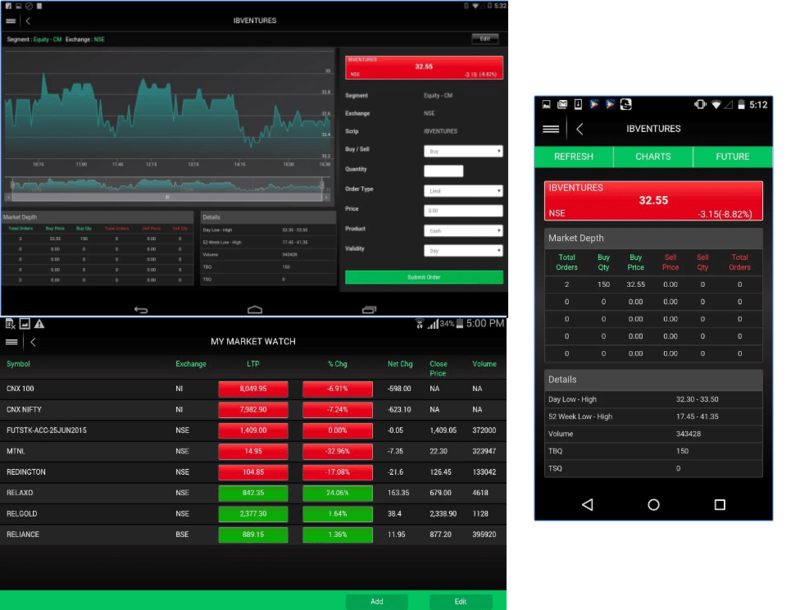 With this trading application, you do not need to download or install any software and it can be accessed through your laptop or desktop. Since this web-app is not responsive in nature, it does not give you the best of the experiences when you access it through a mobile or a tablet device. The application is pretty basic in its design and compatibility. Especially looking from the overall industry dynamics where multiple stock brokers are coming up with breakthrough solutions via their trading platforms, solutions such as this web-based application from Indiabulls look just average or mediocre in its offerings. 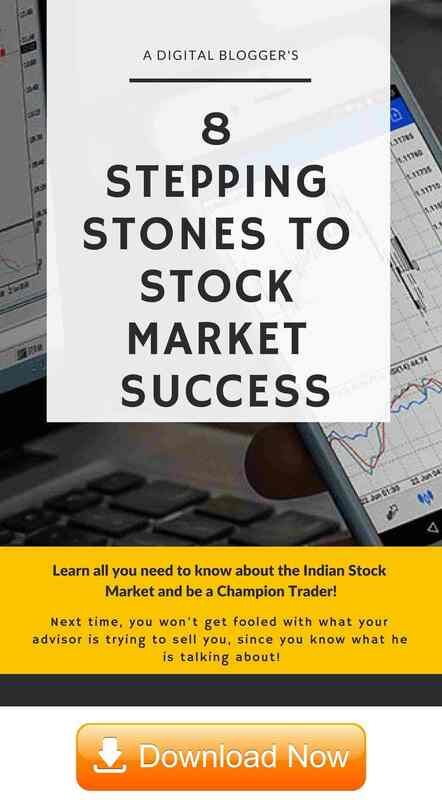 Get Market statistics, corporate actions within the app along with information on Top gainers/losers, volume topers, volatile stocks etc. As shown above, the mobile app is rated 3.7 by around 99 users. Two problems there, first obviously the rating is very low, second, the app is being used by a very small set of users. Most likely, clients of Indiabulls realize the app is not that exhaustive and it’s better to use other trading platforms by the full-service stockbroker. The full-service stockbroker houses a research expert team that performs fundamental as well as technical research for its clients. These reports and trading calls are available online through its trading platforms as well as other communication channels such as SMS and emails. Updated on a regular basis with information on mergers, acquisitions etc. This stockbroker is known for its quality of research for both long-term investors and short-term traders and certainly can be trusted to an extent. Generally, expectations from a full-service stockbroker are pretty high and rightly so. Most of the full-service stockbrokers try pretty hard in bringing quality to their clients through their customer service. 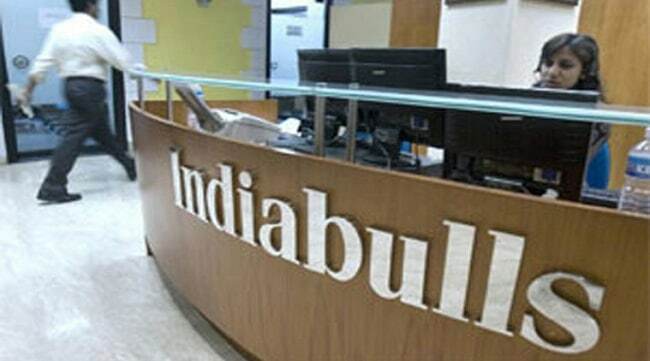 However, Indiabulls is pretty mediocre in this department with its laid-back approach. 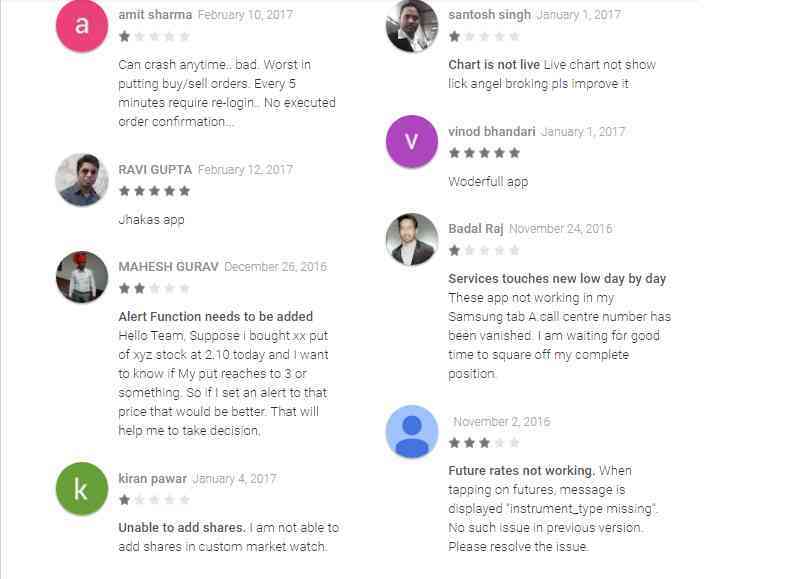 For instance, if you look at their Google Play store mobile app page, there is not even a single response to around 1o0 comments (read complaints) they have received for specific issues with the mobile app. In this competitive environment today and especially with the advent of low-cost discount stock brokers, it is difficult to acquire and retain clients. People have much better options than to stay stuck with a broker that does not really care much in terms of servicing its client base well post acquiring them. Thus, Indiabulls certainly needs to pull up its socks and make sure the clients acquired do get deserved attention in different aspects they need help in. 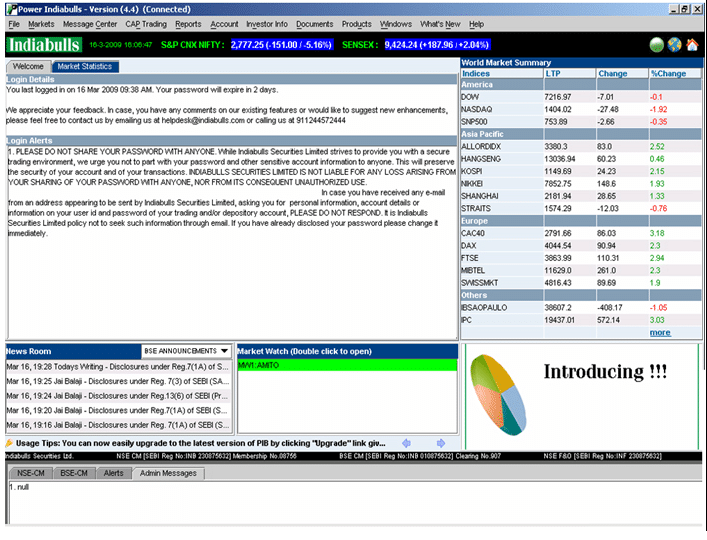 Here are the account opening and maintenance charges levied by the full-service stockbroker. As far as brokerage is concerned, the broker charges the following brokerage rate to its clients. Use this Indiabulls Brokerage Calculator for complete charges and your profit. At the same time, you must know that in case you are starting with a reasonable initial deposit (let’s say ₹50k or above), you can certainly negotiate with the executive on the brokerage rate set up by the broker. All these charges are negotiable to multiple levels as long as you are starting with a decent deposit and you have good negotiation skills. In case of full-service stockbrokers such as Indiabulls, the brokerage is calculated based on your trade value. For instance, if your brokerage rate is 0.3% for delivery and you are trading for ₹1,00,000 – then you will be charged ₹300 as brokerage rate excluding any taxes or transaction charges. Compared to premium stockbrokers such as ICICI Direct or Sharekhan, this brokerage rate is reasonable. But when we compare it with discount stock brokers such as 5Paisa or Zerodha, certainly the brokerage of Indiabulls is on the higher side. The full-service stockbroker charges relatively higher transaction charges. Few stockbrokers such as Indiabulls, keep their brokerage marginally less and get it covered through other avenues. In this case, this stockbroker charges higher transaction charges in Futures and Options as well as Commodity. Thus, make sure to get this aspect cleared in your discussion with the executive of the broker before you open an account. If you are looking for exposure or leverage, well Indiabulls does not really offer much of it. You can check out this detailed article on stockbrokers that provide high exposure across multiple trading segments. Okayish brokerage which can be negotiated with further down. 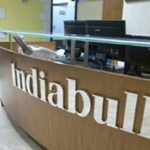 Is Indiabulls a safe stockbroker? This full-service stockbroker has been around for 17-18 years and has a presence in other business domains such as Insurance, Housing, Real estate etc. The overall market capitalization of the group is US$5.1 billion, which is pretty solid by most standards. Thus, from a trust perspective, yes this stock broker can certainly be assumed to be safe and trustable. What are the account opening charges with Indiabulls? To open an account with this broker, you are required to pay ₹750 at the onset. Furthermore, an AMC (annual maintenance charge of ₹450 is applied every year). What trading and investment products are offered by Indiabulls? 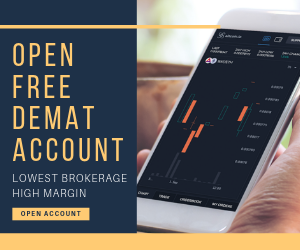 The full-service stockbroker offers multiple trading and investment products such as Equity, Commodity, Currency, Mutual funds, Insurance, Derivatives, Depository services etc. Make sure you understand the charges and type of accounts required to invest in these products before going ahead with the broker. 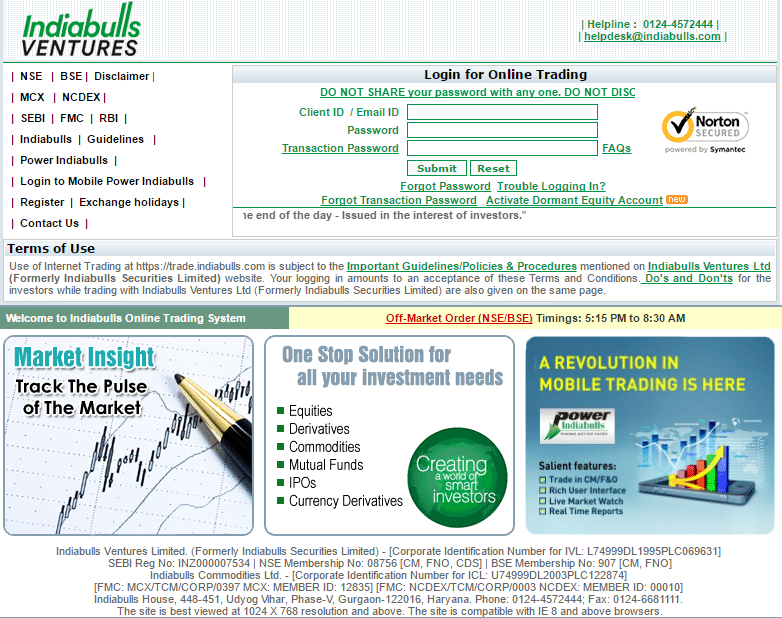 Does Indiabulls charge for usage of its trading platforms? Yes, you will be charged ₹750 for usage of its terminal-based trading platform Power Indiabulls. Normally, clients are not charged for usage of the trading platforms but in case of this stockbroker, this charge is in place. How is the quality of research provided by Indiabulls? Research quality is better than average at both fundamental and technical level. 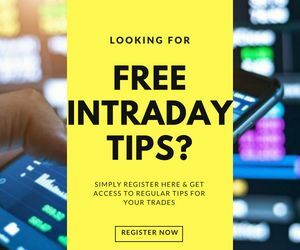 Thus, clients can surely use the trading calls, research reports, weekly/quarterly reports and tips coming from the broker and use those for their trading and investment post a basic check on their end. What is Zerodha 60 day Challenge in Hindi? Its an average broker honestly. Indiabulls can certainly work on their service. My experience of last twelve years is – to hell with the customer. kindly mail me your chennai DP office for equity trading.